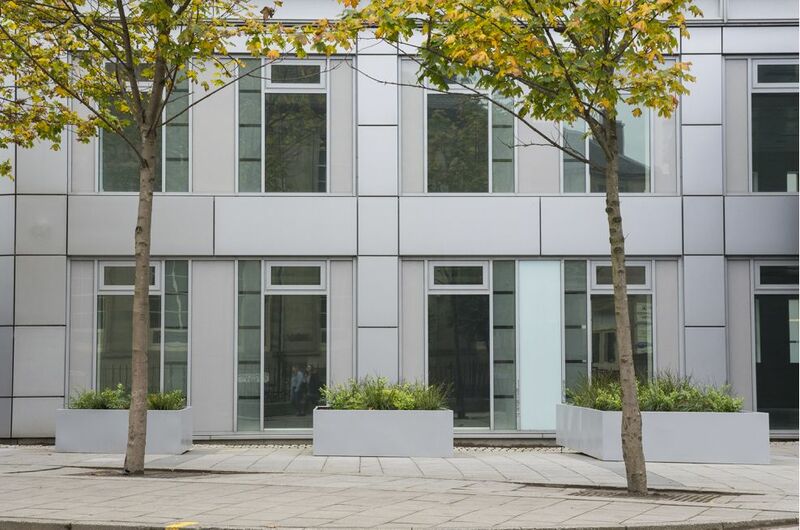 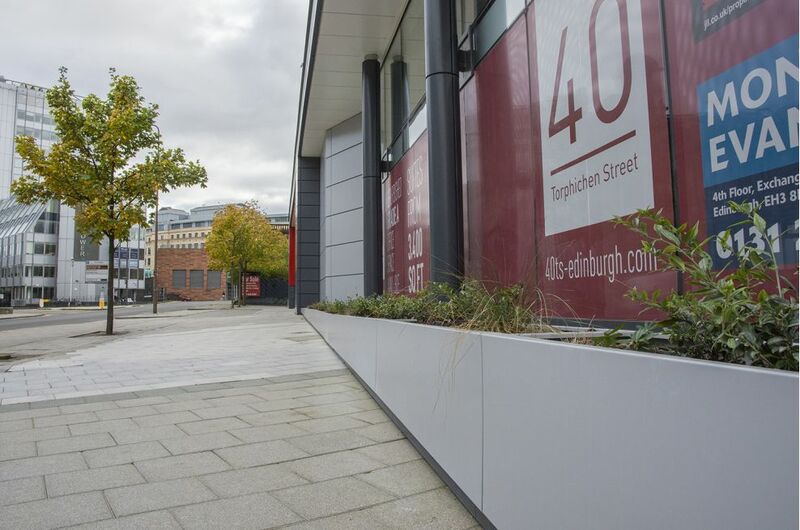 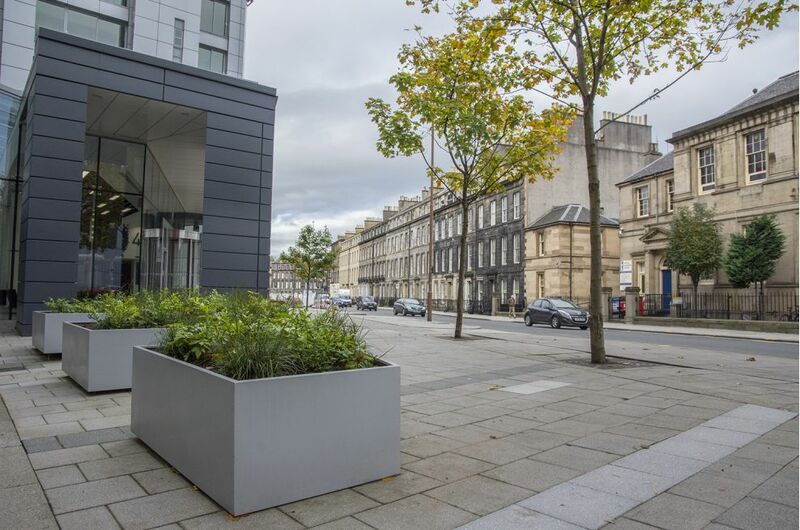 Bespoke steel planters were commissioned for the refurbishment of 40 Torphichen Street – a landmark office building in the heart of Edinburgh's financial district. 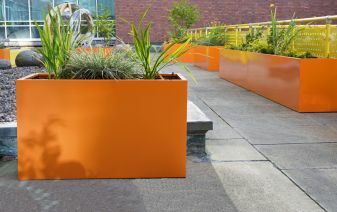 A total of 12 planters were supplied, in a variety of configurations. 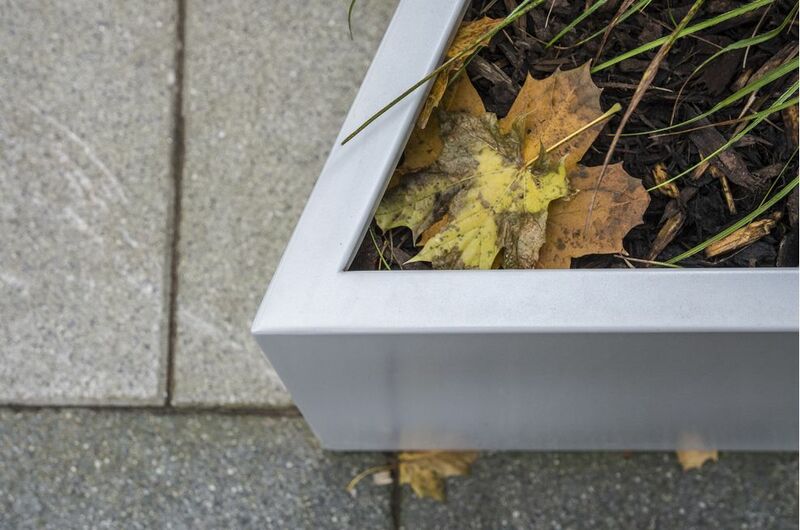 The largest planters are trapezoidal in form, with the longest face being L 4593mm. 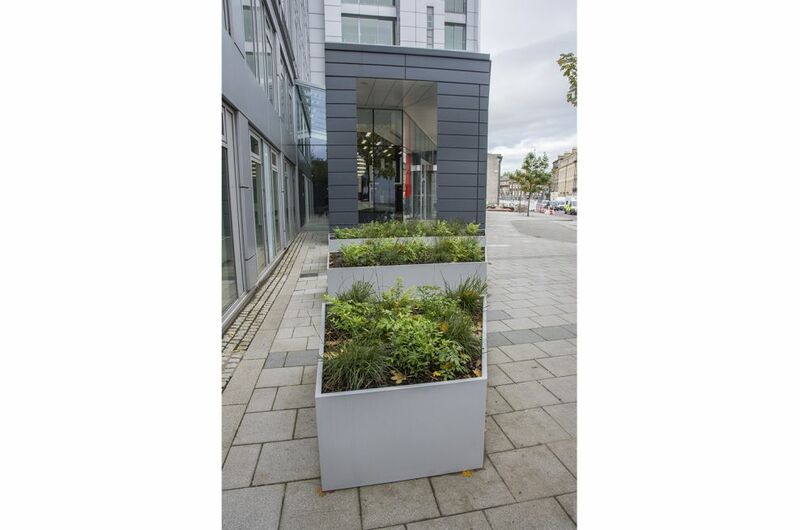 A further set of planters create a continuous, 21 linear metre planting bed along the frontage of the building; with the planter bases being sloped to accommodate the pavement fall, from H 195mm to H 586mm at either end. 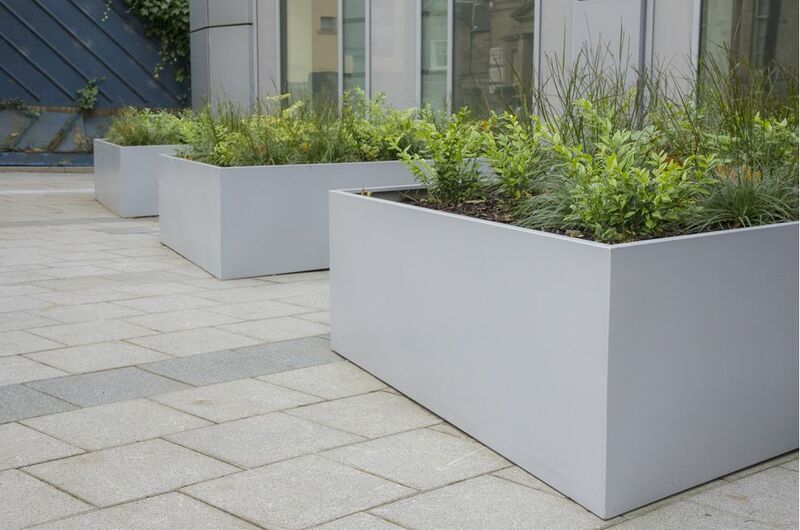 The planters were manufactured from 1.5mm thick Zintec Steel, Polyester Powder Coated to RAL 9006 [White aluminium]. 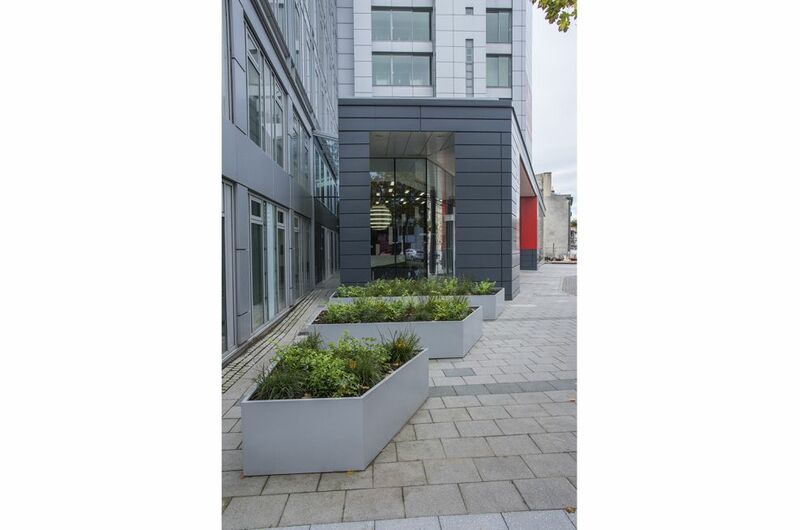 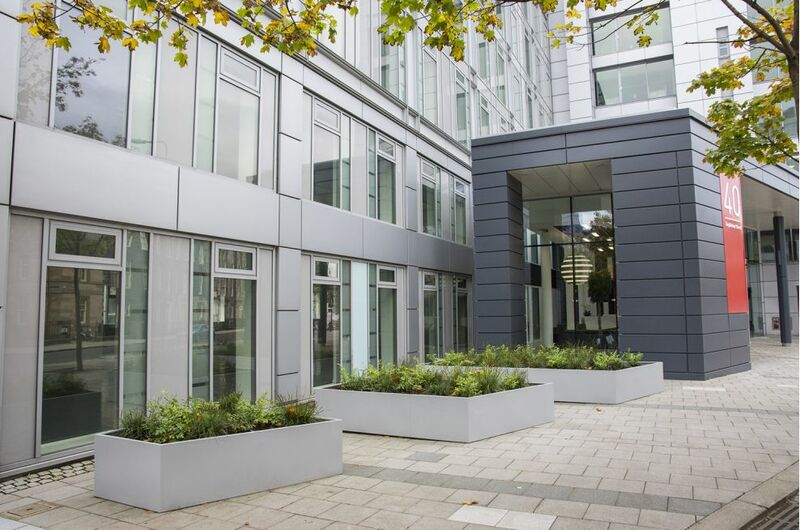 IOTA’s planters were commissioned by the principal contractor, Roberston Group. 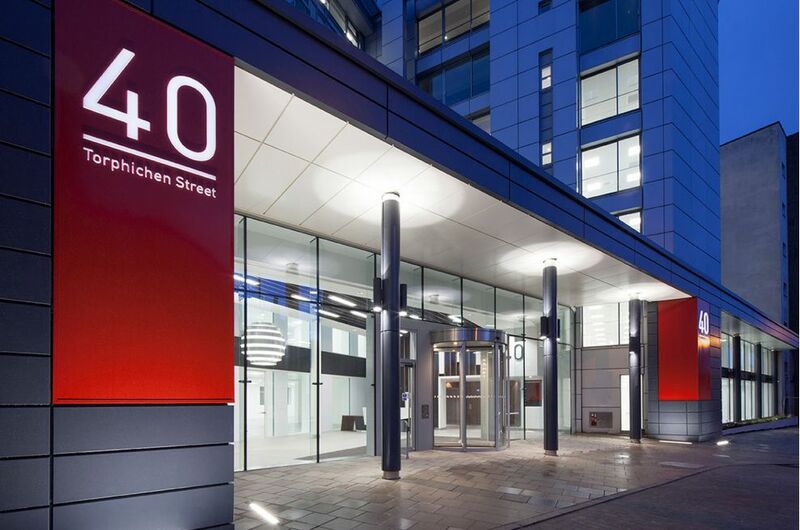 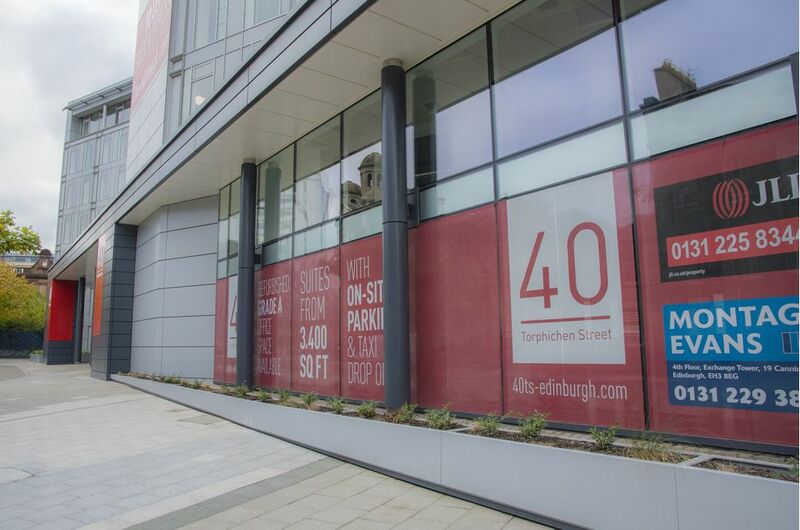 40 Torphichen Street is a landmark office building in the heart of Edinburgh's financial district. 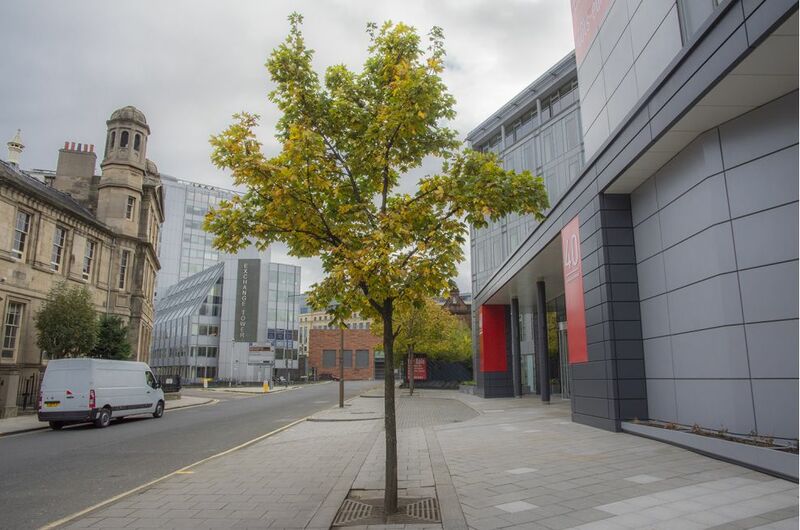 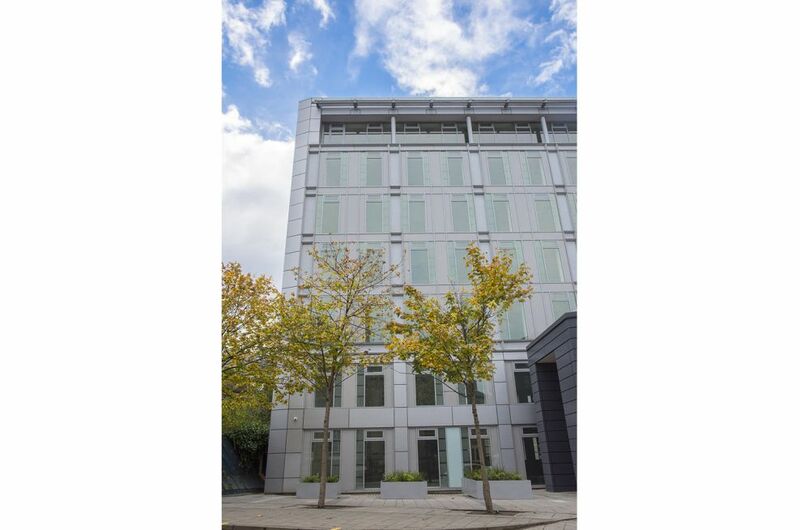 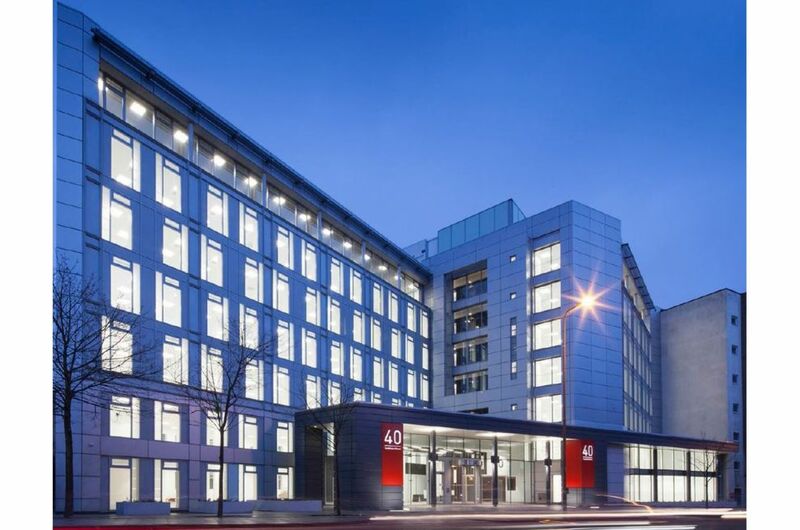 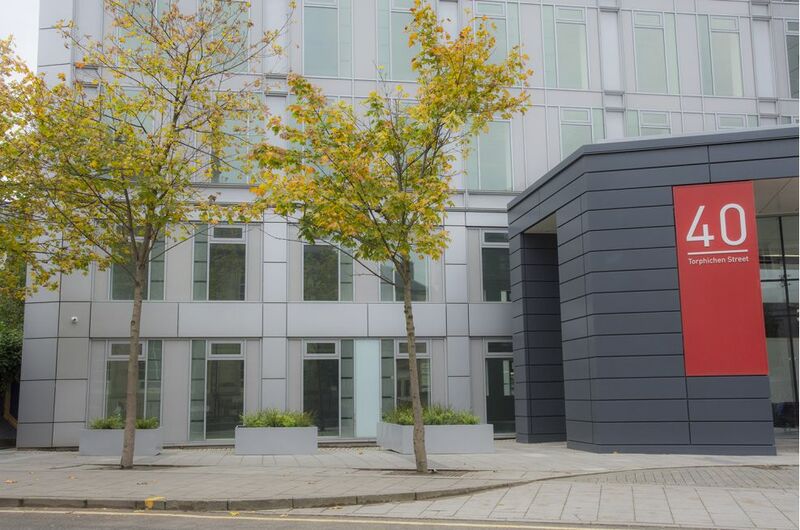 The building delivers 54,369 sq ft of Grade A open plan office space arranged over six floors, and is located only a short walk from the central transportation hub of Haymarket Rail Station.